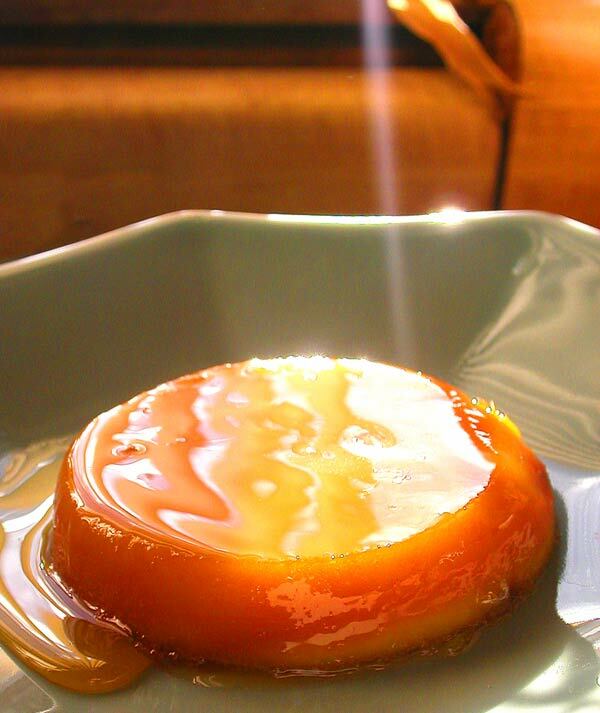 it is simple, yet stunning, and a celebration upon itself; have you ever seen such golden sunshine on a plate? thank you to viv, once again, for a great edition of imbb! combine sugar and water in a saucepan; boil the sugar syrup until it reaches soft-ball stage. set aside all but 1/2 to 1 cup of the syrup to cool. continue cooking the smaller amount of syrup until it has caramelized. 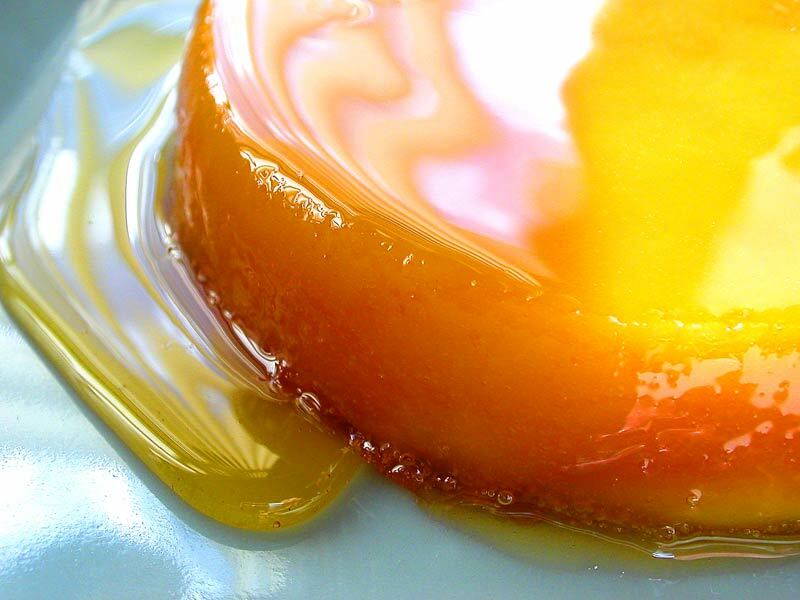 pour the caramelized sugar into individual molds or pan, and coat the bottoms evenly. beat the egg yolks in a large bowl, then pour the syrup in a steady stream, whisking it thoroughly into the eggs. make sure the sugar syrup has completely cooled, or you risk cooking the eggs or ending up with a gloopy, clumpy mess. strain the mixture into the molds or pan, then steam or cook in a bain-marie for 20 to 25 minutes. cool before unmolding. What is your first memory of baking/cooking on your own? my first experience with an easy bake oven was basically "it's a #$%^ing lightbulb?!" i stalked off in disgust. and no, i wasn't 23 at the time, fools. Who had the most influence on your cooking? Do you have an old photo as “evidence” of an early exposure to the culinary world and would you like to share it? Mageiricophobia - do you suffer from any cooking phobia, a dish that makes your palms sweat? 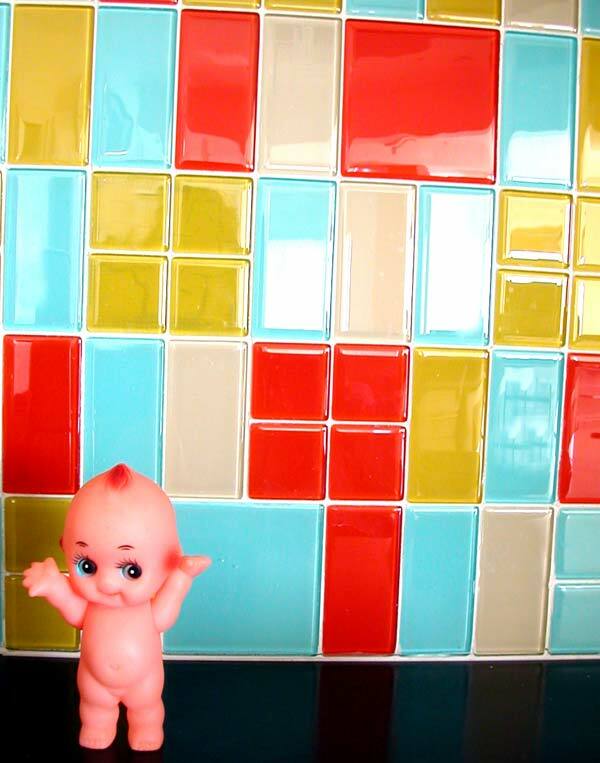 please do not boil me alive. i also would not like to be stuffed in a working pizza oven. What would be your most valued or used kitchen gadgets and/or what was the biggest letdown? most valued: a fork. biggest letdown: a fork. Name some funny or weird food combinations/dishes you really like - and probably no one else! i've seen what other people eat; nothing i eat can top that. What are the three eatables or dishes you simply don’t want to live without? whatever sounds best when i want some. anything that will cause an allergic reaction. or death. Any signs that this passion is going slightly over the edge and may need intervention? i blog, and i need to go to the gym. Have you ever poisoned/sickened anyone with your cooking? Was it deliberate? maybe. why? what have you heard? NEXT! i'm tapping mandingo jones, amy, and dilek. update: i've tagged a fourth person, shuna--hope no one minds! 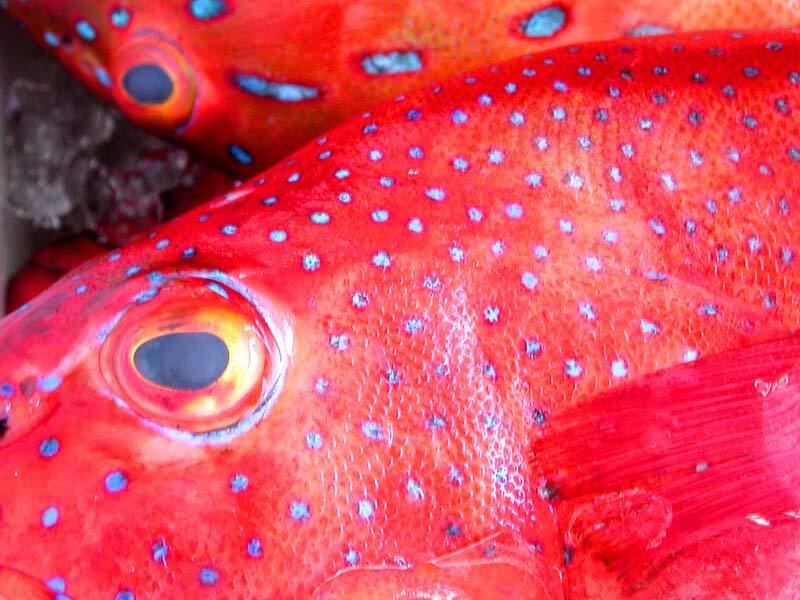 bloodshot eyes and a little green around the gills. fish head eater or fish head hater? declare! it's amazing how a little butane or propane can transform an ordinary breakfast item. 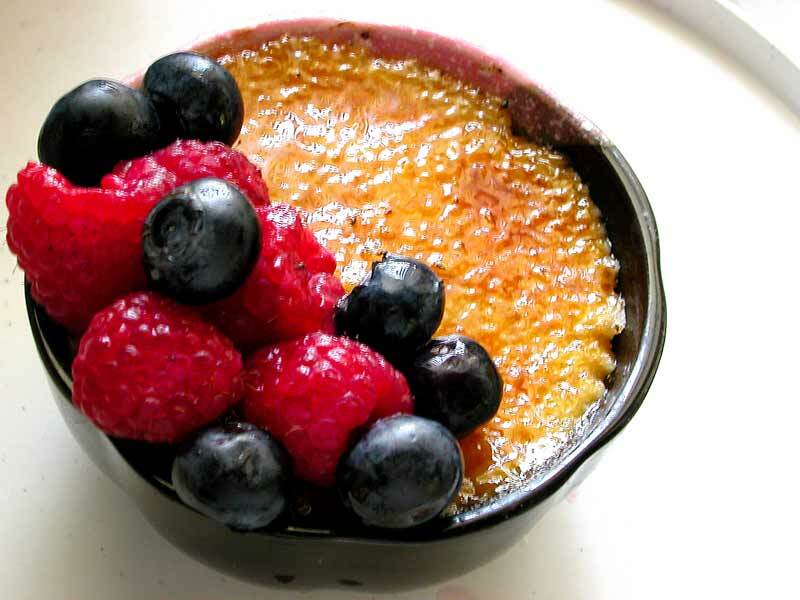 oatmeal brûlée: oatmeal made with steel-cut oats cooked in water, sprinkled with brown sugar, which was then blowtorched for a crunchy brûléed finish, and served with fresh berries and cream. crack open the crust with a tap of the spoon, pour in the cream, and scoop it up with a bit of the burnt sugar and berries. 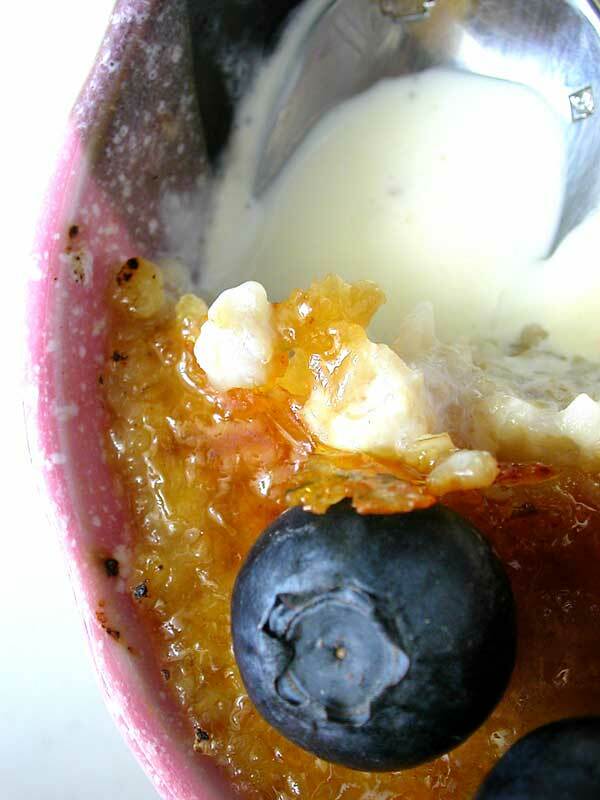 this can be made with any oatmeal or hot cereal recipe of your choice, and of course, any toppings of your choice. just be sure to cook the cereal a little drier than you normally would so the sugar caramelizes properly. if you'd like a higher burnt sugar-to-cereal ratio, use a shallow soup dish; if made in individual ramekins, these would be a nice addition to any brunch.